The inconvenience of a flat seems disastrous at the time, but if you remember your steps—and we cannot stress this enough—in the right order, you can be up and running in about 20 minutes. Pull off the highway to a relatively safe spot where you can work. Open the trunk. Familiarize yourself with the jack, the tools, the spare and the owner’s manual. Ideally you should have done this when you bought the car. If you didn’t, stop reading this article and do it now. It takes 10 minutes, which will save you 10 minutes when it really counts. Loosen the lug nuts with the lug wrench. Sometimes this means attaching the lug wrench to a nut so that you can stand on the handle of the wrench and use all your weight to loosen it. Lug nuts are usually very tight. Loosening lug nuts before you jack up the car may be the second most important step to remember. Jack up the car (make sure it’s in park), using the owner’s manual as a guide so you know where to place the jack. Get the car high enough so the tire is no longer touching the ground plus 3-4 inches. Take the loose lug nuts off, by wrench or by hand. Pull the flat and put on the spare. This step takes the most strength, and is most likely to mess up your clothes. Put on the lug nuts but do not tighten all the way. Just get them as tight as you can with your hand. Lower the car down to the ground using the jack. This is the most important step—tighten the lug nuts with the wrench as much as you can, again using the standing and bouncing method if you think it’s necessary. This should get you on your way in the shortest possible time. You can figure out what went wrong with the tire later. At Nissan, we know our loyal customers have different driving needs and desires. That’s why we have outstanding specials on our full line of vehicles, including our reliable sedans, versatile crossovers, capable trucks or dependable SUVs. There is truly something for everyone. With spring upon us and summer coming, now is the time to check out the amazing specials on our hottest sports cars—the 370Z Coupe and 370Z Roadster. Can you imagine just how wide your grin would be as you’re shredding tar around every corner in style in one of these sports car powerhouses? Be the envy of your friends while experiencing some of the best Nissan has to offer. Need something that fits the whole family? 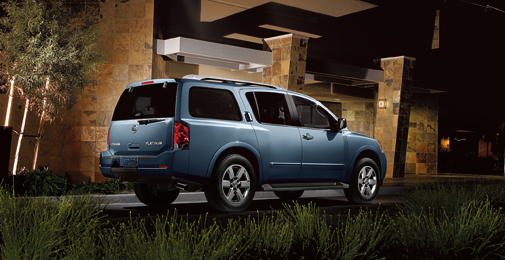 Our line of SUVs, including the Pathfinder, Armada and Xterra, provide the room you need, the comfort you desire, and the versatility for taking kids to the games, that long summer trip or a quick weekend getaway. Stop by Windsor Nissan and check out our current offers to see what option is best for you! Japanese car giant Nissan is to build a new hatchback at its UK plant, creating more than 1,000 jobs at the site and at component companies. The announcement was made by Prime Minister David Cameron and Nissan chief operating officer Toshiyuki Shiga, during a visit to Nissan’s headquarters in Yokohama, Japan on 10 April, The Telegraph reported. The new medium-sized model will be built in Sunderland in 2014, creating an additional 225 jobs at the factory and 900 at component companies supplying Nissan. The move follows an announcement last month that the North East plant will also produce a compact car based on the so-called Invitation concept model from next year. The two new models will result in more than 3,000 jobs being created in the UK automotive sector within the next two years – 625 at Nissan and the remainder across the supply base. Once recruitment for both models is complete, the Sunderland plant’s workforce will stand at a record 6,225, supporting annual production of more than half a million models. Nissan said the new hatchback, which will be named closer to its sales launch, marks the carmaker’s return to the mainstream medium segment in Europe and will play a major role in the company’s continued expansion. Around 80,000 of the new hatchback model will be built annually, triggering the need for the Sunderland plant to launch an additional shift. This will see both the factory’s production lines operating around the clock for the first time in the plant’s 26-year history, a move which will take manufacturing capacity beyond 550,000 units. The announcement also consolidates Sunderland’s position as the UK’s largest car manufacturer, a title it has held since 1998. In 2010 Sunderland became the first UK car plant to produce more than 400,000 models in a single year when 423,000 Qashqais, Notes and Jukes rolled off the line. The record was beaten last year when 480,000 cars were produced, and Nissan said the plant was preparing to pass the half-million mark for the first time. Nissan is investing an additional £127 million in its Sunderland operation, supported by an offer of £8.2 million from the Government’s Regional Growth Fund. Nissan built the Sunderland plant in 1984 and production began in 1986, with total investment set to reach £3.5 billion. More than 6.5 million cars have been built at the factory, with 80% of production exported to 97 world markets. 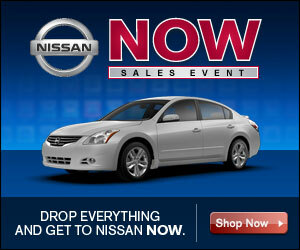 The Nissan NOW Sales Event is going on NOW at Windsor Nissan! 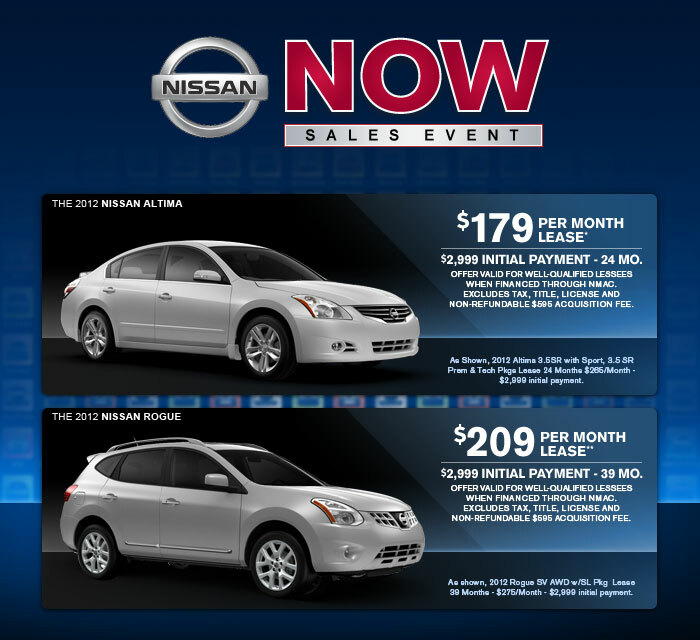 Get the best deals of the year on your favorite Nissan models. Like the 2012 Rogue – get 0% financing for 60 months! Or the 2012 Maxima – Lease for $229/mo! See all of the savings and discounts at Windsor Nissan’s website or visit us at 590 US Highway 130, East Windsor, NJ 08520. 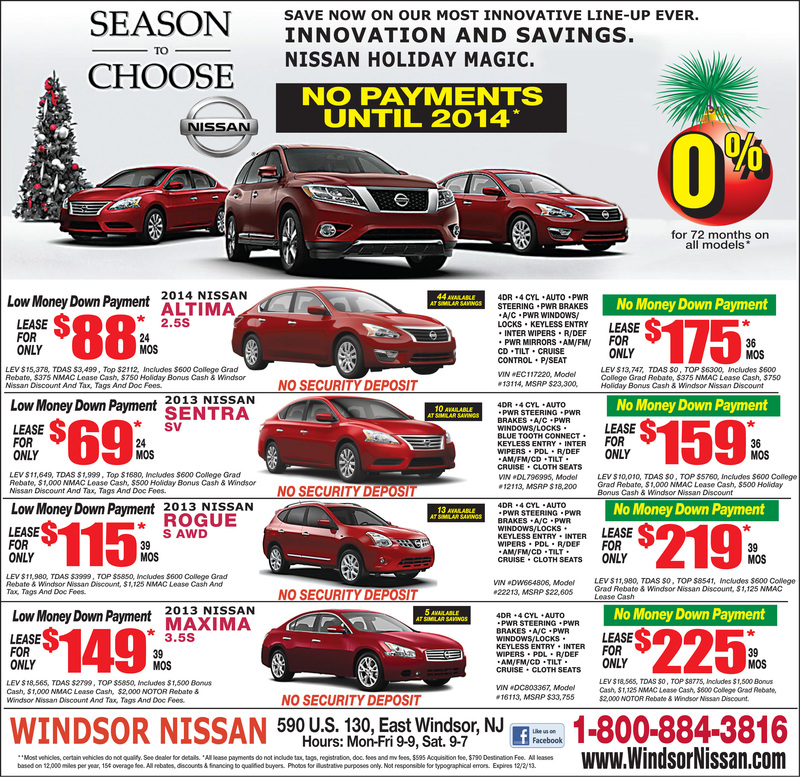 Hurry to Windsor Nissan NOW before all of the savings are gone!